Disinfectants used in water treatment operations could generate harmful byproducts that are unregulated by the U.S. Environmental Protection Agency (EPA). 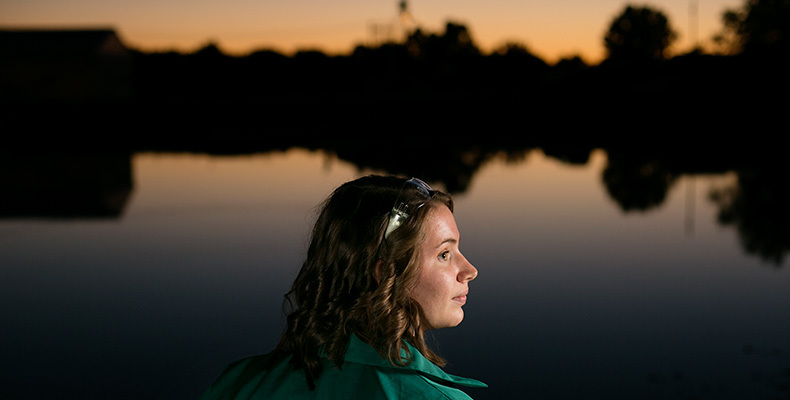 But Danielle West, a Ph.D. student in chemistry, is screening Missouri drinking water for contaminants and seeking new treatment techniques that could minimize — or even eliminate — those byproducts. With grants from the Missouri Department of Natural Resources and the EPA, West is helping to develop a rapid, sensitive and cost-effective method to detect perchlorate and bromate in drinking water, as well as a technique for removing perchlorate. The advanced detection method will play an important role in the monitoring of drinking water quality in the future. Disinfectants like monochloramine could generate harmful byproducts that are unregulated by the EPA. West and her colleagues are researching the use of an alternative disinfection agent to treat the water. The disinfectant could provide an economical approach to limiting the formation of contaminants. They believe that incorporating this disinfectant into current water purification processes will improve drinking water safety. Yinfa Ma, Curators’ Teaching Professor of chemistry, and Honglan Shi, associate research professor of chemistry, are West’s advisors.